Smart Balance Milk only $1 at Publix & $1.39 at Walmart w/ Coupon! 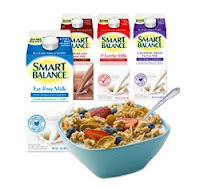 Hurry and print this Smart Balance Milk coupon to score 2 great deals! You can find this coupon under zip code 30303, Beverages!